1st Wednesday of every month. Noon - 1:00 p.m.
2nd Saturday of every month. 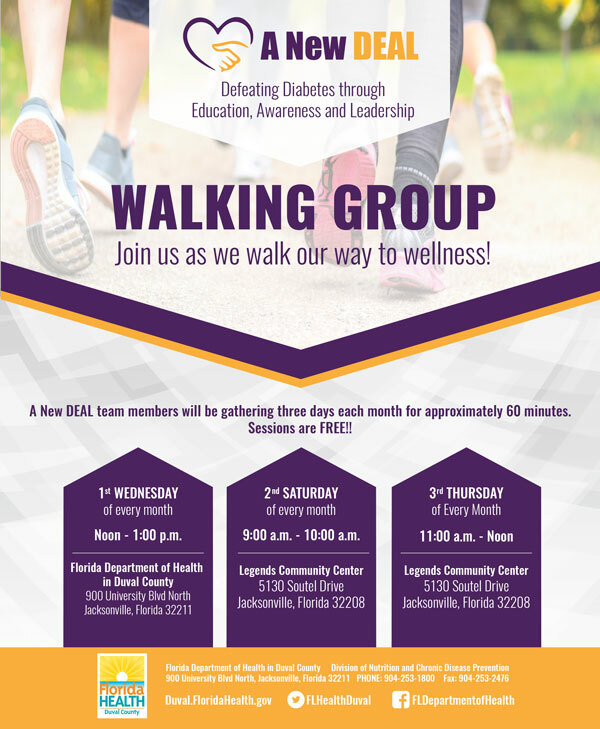 9:00 a.m. - 10:00 a.m.
Join us as we walk our way to wellness! A New DEAL team members will be gathering three days of each month for approximately 60 minutes to host walking groups. Sessions are free and open to the public.